USARB is the only University in the North of Moldova. 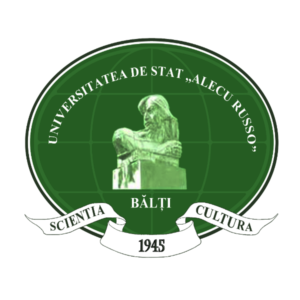 USARB is comprised of four faculties: Faculty of Letters, Faculty of Exact, Economy and Environment Sciences, Sciences of Education and Psychology, Art, Faculty of Law and Social Sciences; “Ion Creangă” Teacher Training College of Balti; “Ion Creangă “Republican Theoretical Lyceum of Balti. The Scientific Library constitutes an integral part of the educational process and scientific research and provides access to scientific and technical information for undergraduate and master students, teaching staff, and researchers, engaged in all educational programs (Licentiate, Master and Doctoral). The library has a collection of 1 023 115 copies, serving 10 000 users per year. The library has international collections: UN Centre of Documentation, World Bank collection, Union European Information Centre, NATO Point of information and Documentation, Journal Donation Project (USA), Romanian Cultural Institute Collection. The Scientific Library of USARB is a good partner in the national network of educational libraries and one of active members of the REM Consortium (Electronic Resources for Moldova). The Scientific Library USARB intends to improve and diversify the informational services provided to students, academic staff and academic community; to broaden and facilitate the access to international informational resources; to train and equip the university library staff with up-to-date training, IT resources; to integrate the library into unique academic informational space established within university libraries network in Moldova. The library is required to reorient itself towards creating, diversifying & offering high quality & innovative services based on digital technology, providing interactive access to contents, multimedia resources that are in great demand for students and university teachers in the context of Information and Knowledge Society & the Strategy of the USB. The library’s involvement in the Project would contribute significantly to achieving this objective & connection of the institution to European trends in providing initial and on-going training to the students and researchers at University level particularly Information Literacy training.